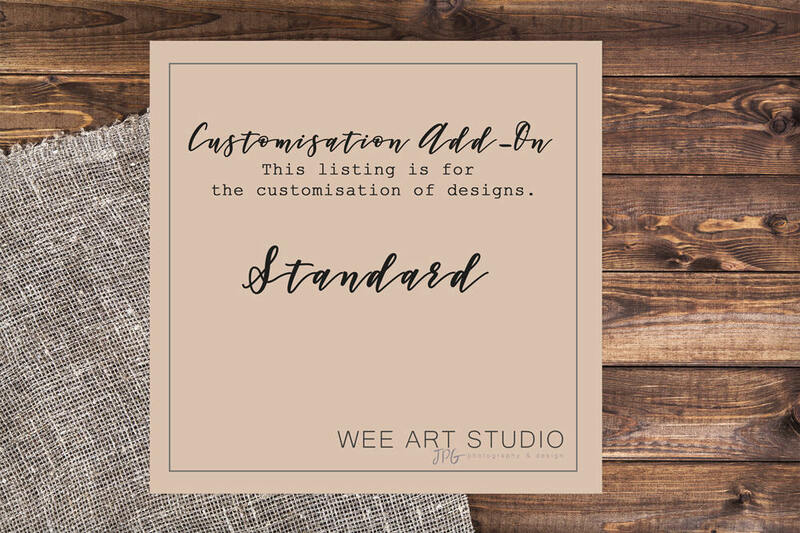 Standard Customization Add-On / Customizing digital designs only items from my shop. Please choose this listing if you don't want to edit your files yourself. I edit your files for you and send them to you. Note: Colours may vary slightly due to differences in computer monitors and printers.